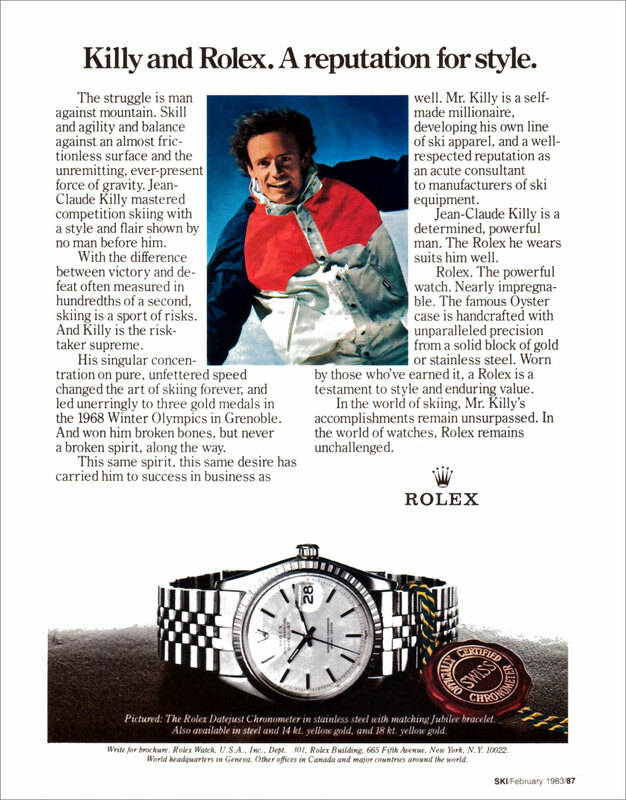 I have been meaning to put together a comprehensive article on life-long Rolex Ambassador, Jean-Claude Killy, in the same way I wrote a detailed overview of Sir Jackie Stewart's lifetime career as a Rolex Ambassador. 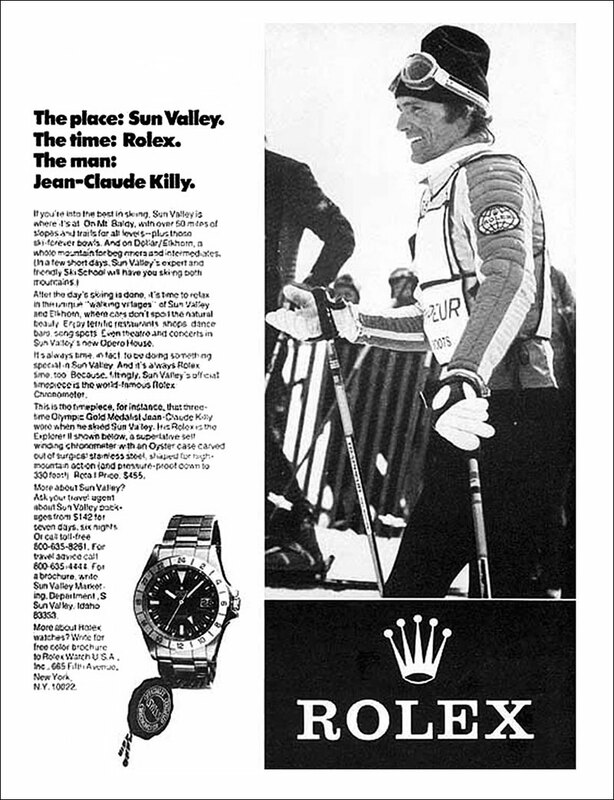 Following is an overview of Jean-Claude Killy's life as a Rolex Ambassador. 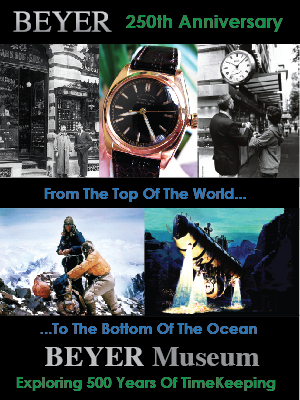 In the future, as time permits, I will continue to update this amazing man's life story until it is complete. 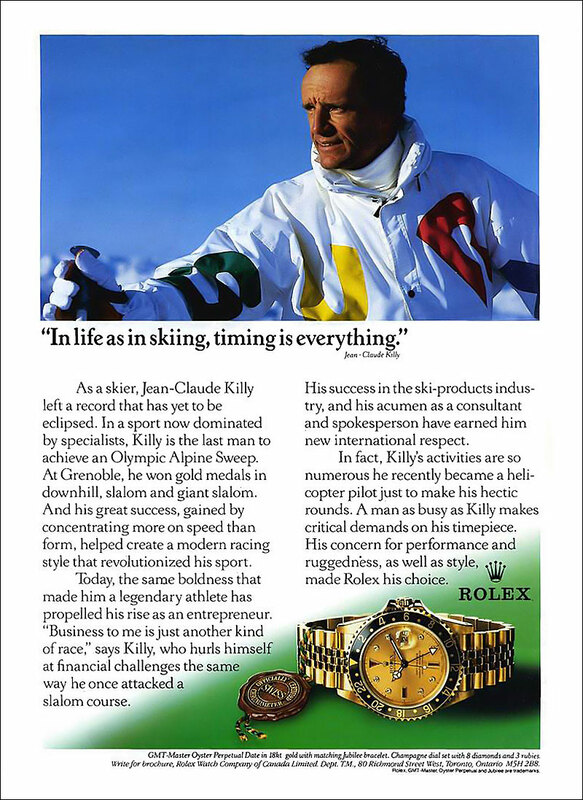 Jean-Claude Killy is one of the greatest skiers in history, if not the greatest. 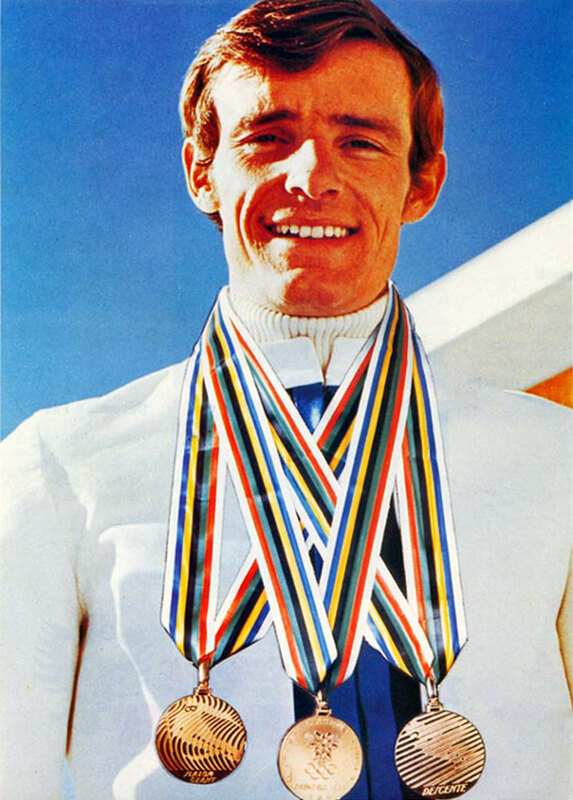 He swept the 1968 Winter Olympics by winning three gold medals in alpine events. 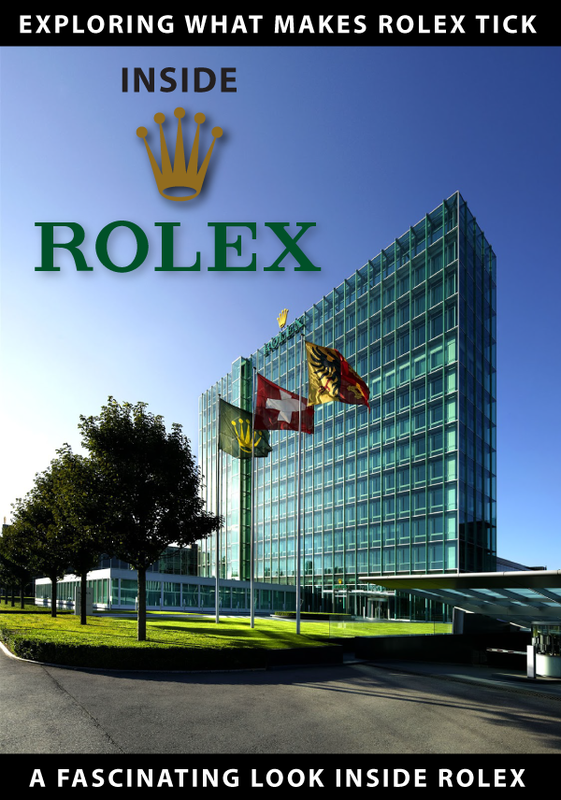 Today, Jean-Claude is still deeply involved with Rolex serving as a member of the Rolex board of directors. 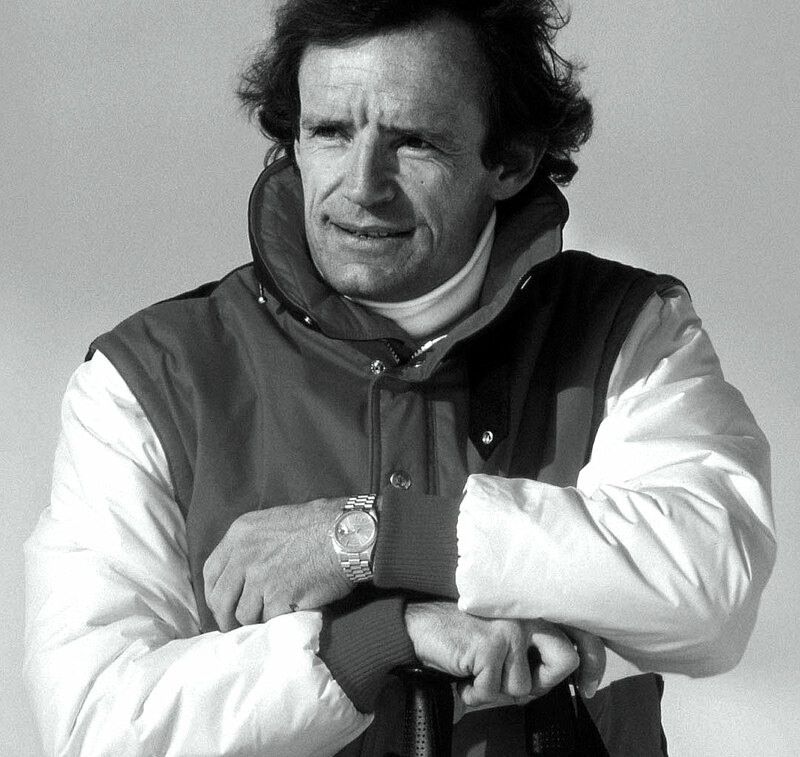 Jean-Claude Killy won 12 out of 16 World Cup races during the 1966-1967 racing season. 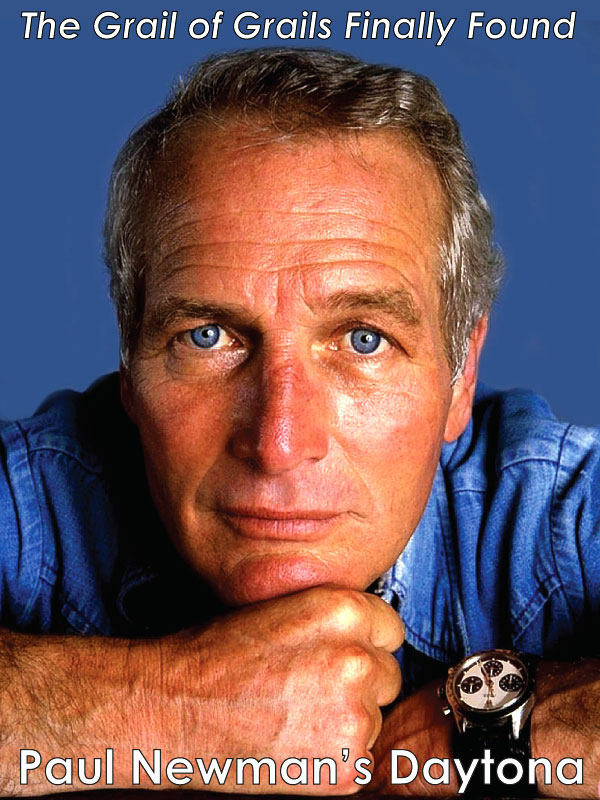 Next, at the 1968 Winter Olympic games in Grenoble, France, he won not only won the good medal in Downhill, but also swept in the Giant Slalom, and Slalom to achieve his Alpine sweep. 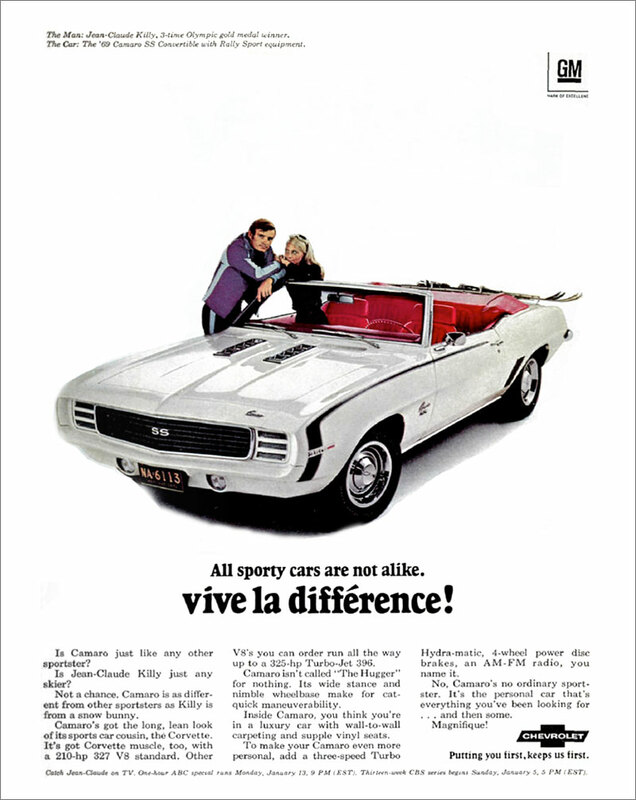 Jean-Claude Killy was really into racing and cars even before he won at the 1968 winter Olympics. 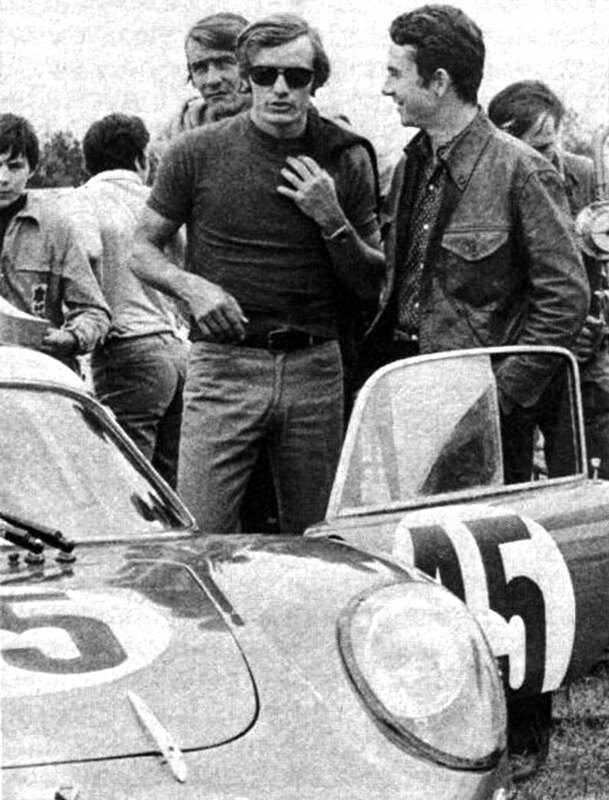 We see Jean-Claude pictured below in March of 1967, when he visited racing legend and specialty car maker, Carroll Shelby. Jean-Claud is pictured below posing with a 1967 Shelby GT500. Jean-Claude ended up driving the GT500 at the Riverside track racing school. 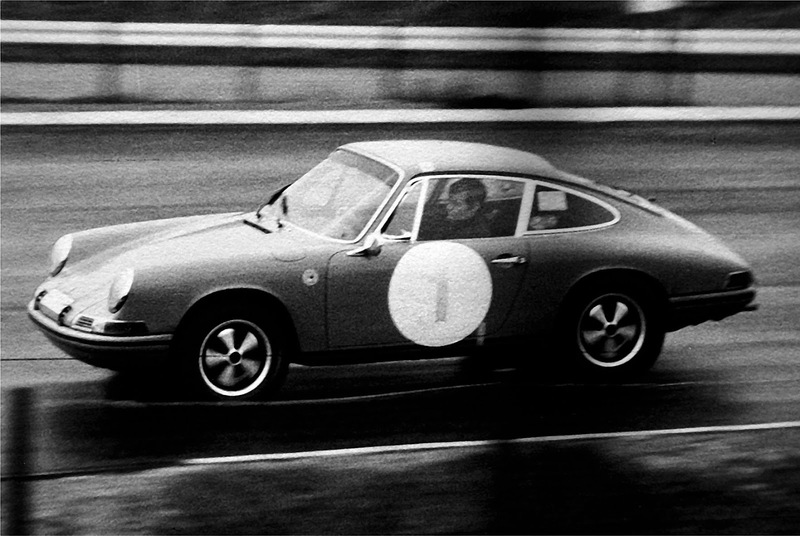 We see Jean-Claude Killy pictured below 1968 rockin' his Porsche 911 around the Nürburgring racetrack in a 1000KM race. 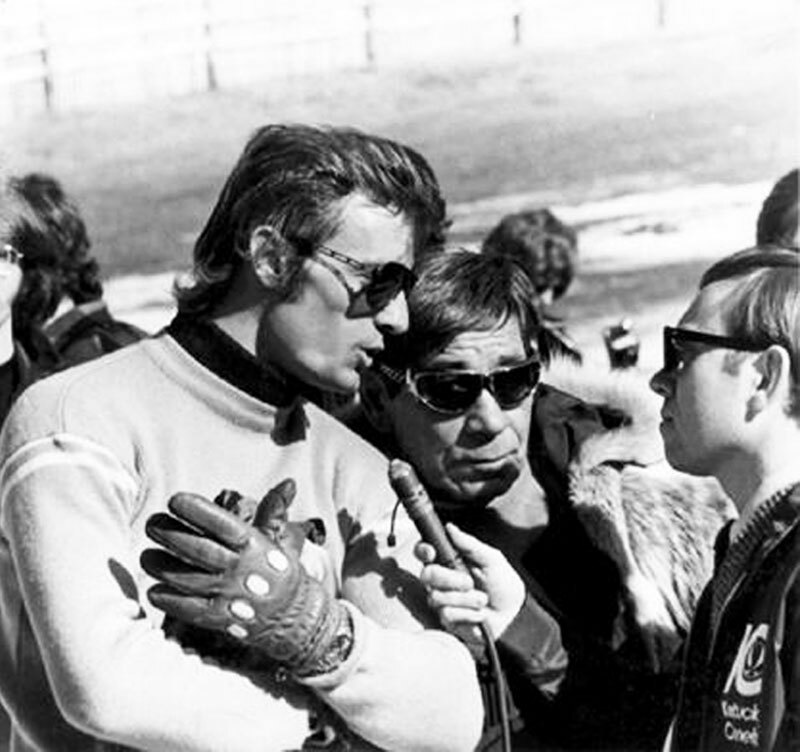 We see Jean-Claude pictured below in 1969 at L-Mans with race car legend, and fellow Frenchman, Bob Wolleck. 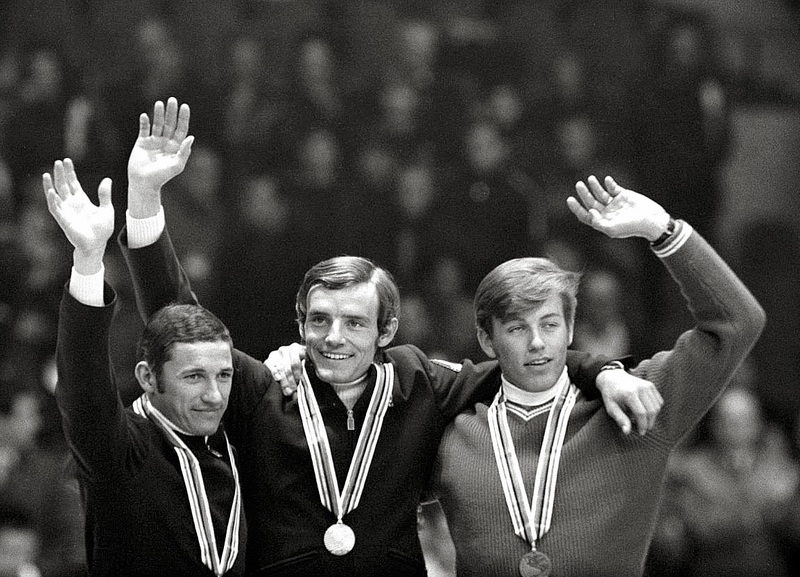 Before becoming a race car driver, Bob Wollek was also a member of the French National Skiing Team between 1966-1968. 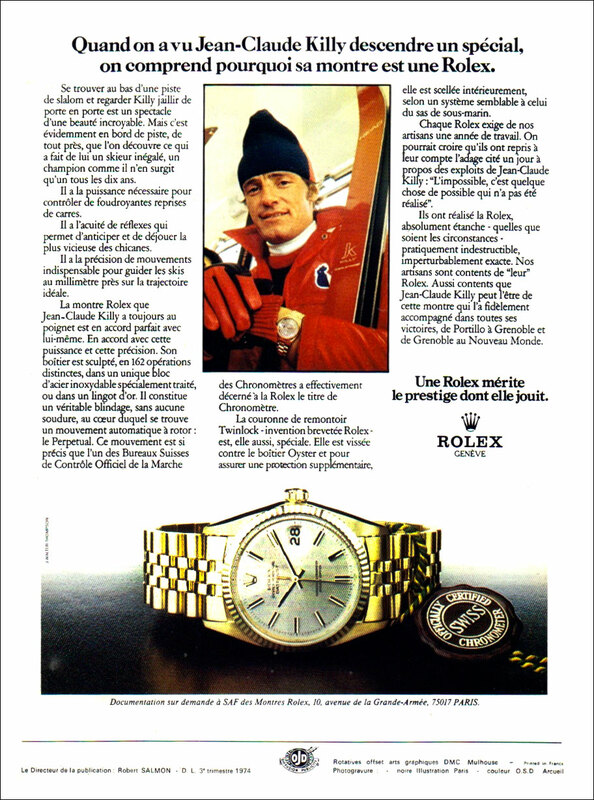 How cool does Jean-Claude Killy look in the photo above with the cool shades, muscle-T, and Levi's rockin' a Rolex Day-Date. Talk about Super-Cool French Style!!! 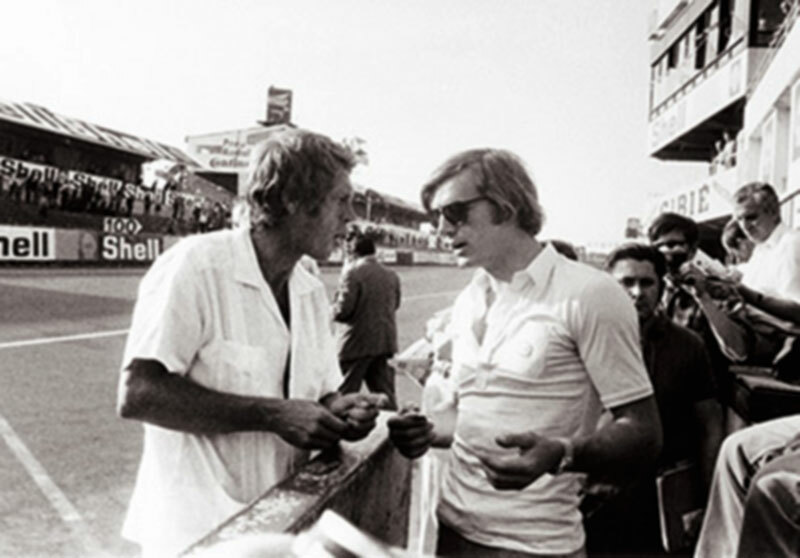 In this next photo we see Jean-Claude pictured at L-Mans with Steve McQueen. 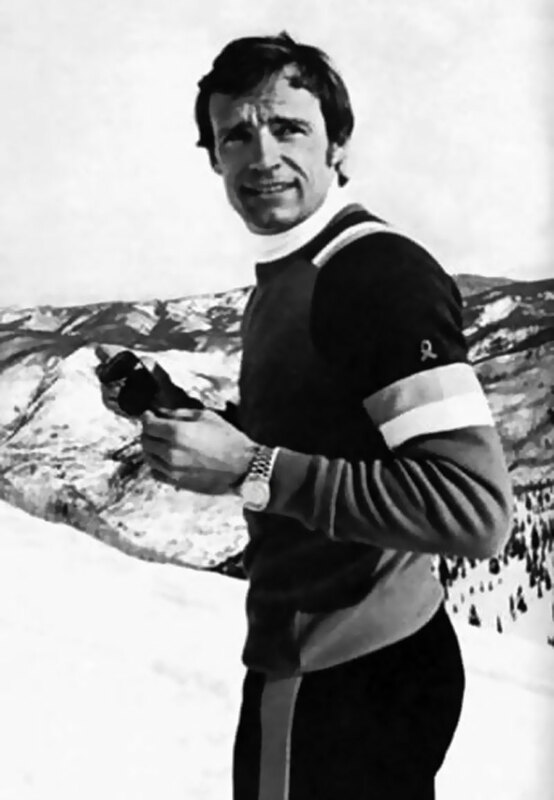 Jean-Claude Killy is pictured below in 1972, at Appalachian Ski Mountain, which was the first of many visits he made to the French Swiss Ski Collect, located at the Bowling Rock Resort. 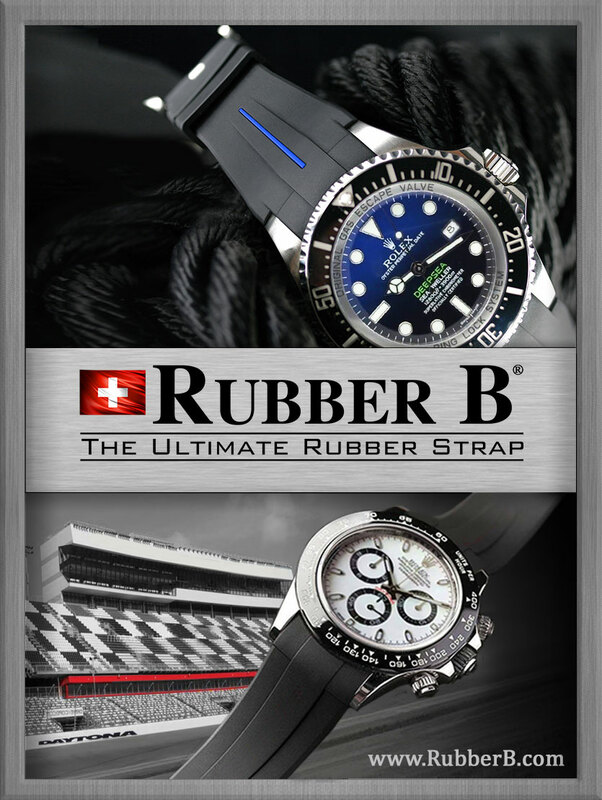 Robust and versatile. 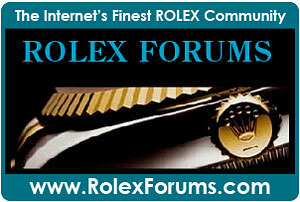 Rolex Explorer II meets your need for timekeeping integrity in high mountain skiing. 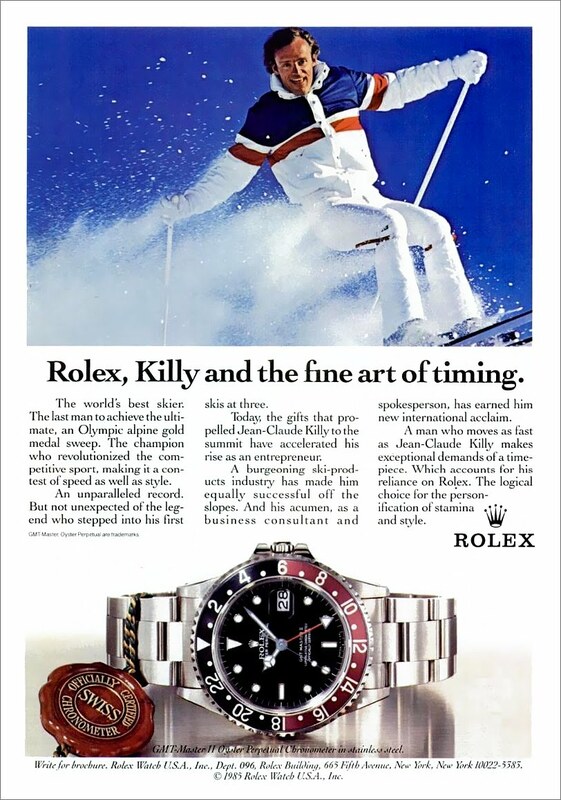 Choice of Jean-Claude Killy, three time Olympic gold medalist in the same year. 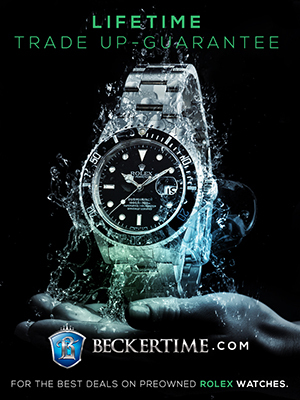 This self-winding, officially certified superlative chronometer in stainless steel with matching bracelet is also pressure-proof in its formed Oyster case down to 300 feet. 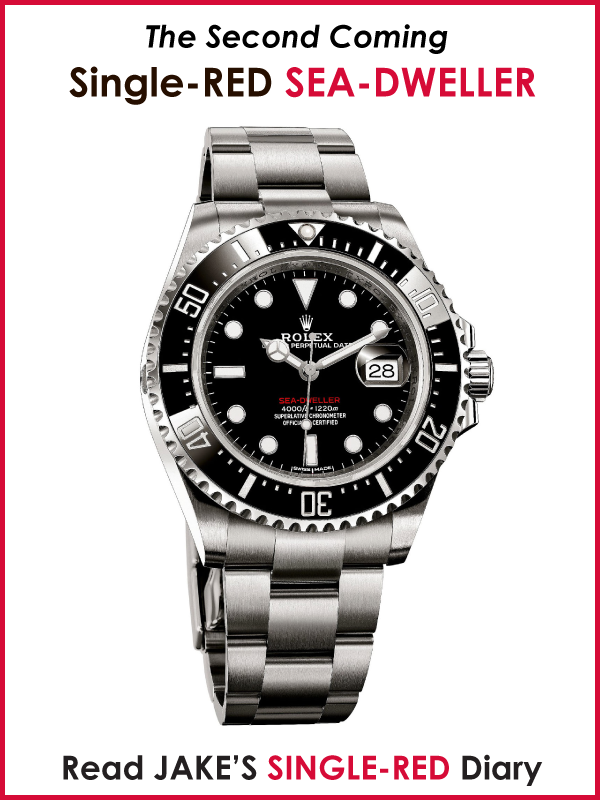 A luminous red hour hand points exact time on fixed 24 hour bezel. Like championship racing, uncommon endurance is built into Explorer II. 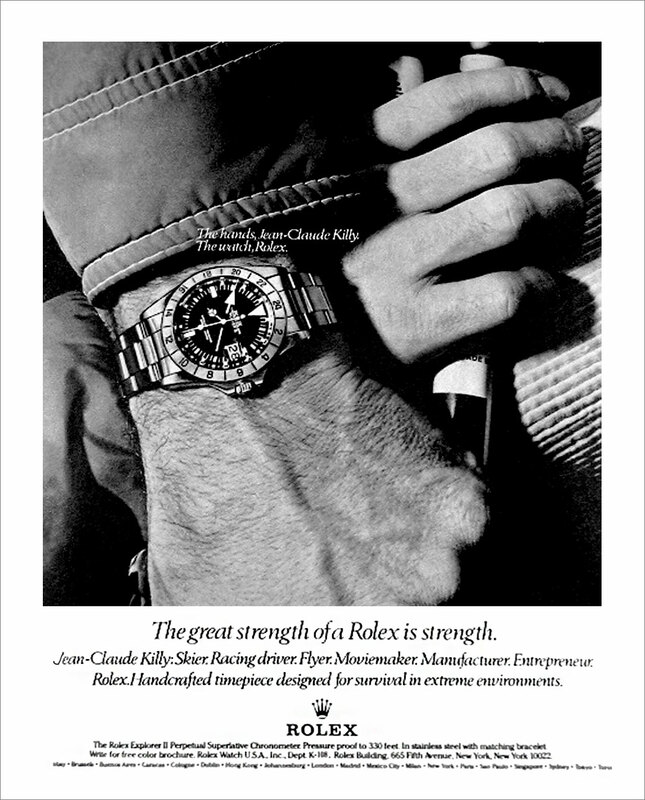 I thought since we just saw three Jean-Claude Killy Rolex Ads for the Rolex Explorer II Orange hand, it would make sense to take a closer look at the reference. 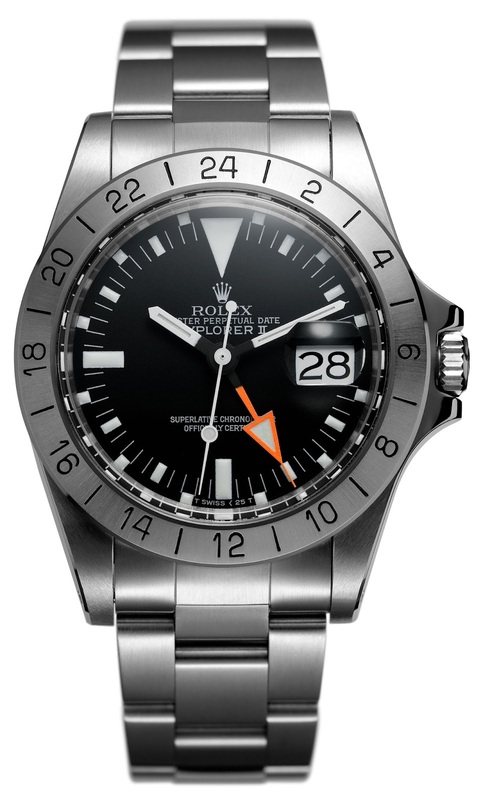 Rolex introduced the Explorer II in 1971, and it had an orange hand to keep track of the time in a second time zone, and was also designed to enable the wearer to read a 24 hour clock to be able to determine the am/pm in the dark in caves, or at the North or South Pole. 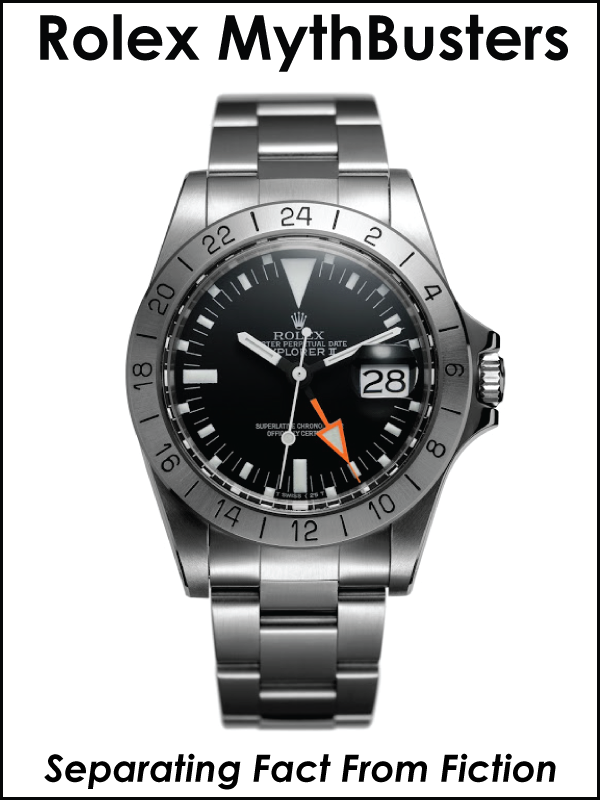 A few years ago, Rolex brought back the orange hand Rolex Explorer II, which is based upon this cool retro-design. 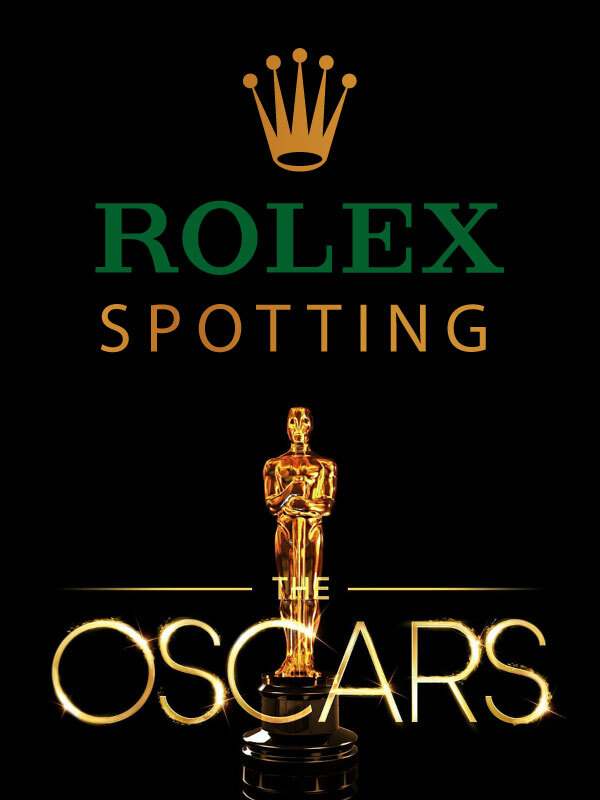 Even though the Rolex ad below is for a yellow gold Rolex Datejust, it appears Jean-Claude is wearing a yellow gold Day-Date in the photo. 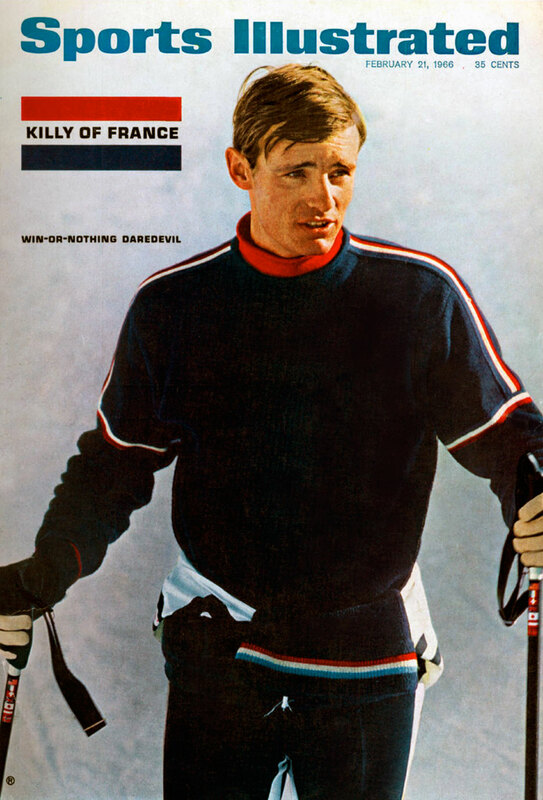 In 1968, Jean-Claude Killy brought home three Olympic gold medals. 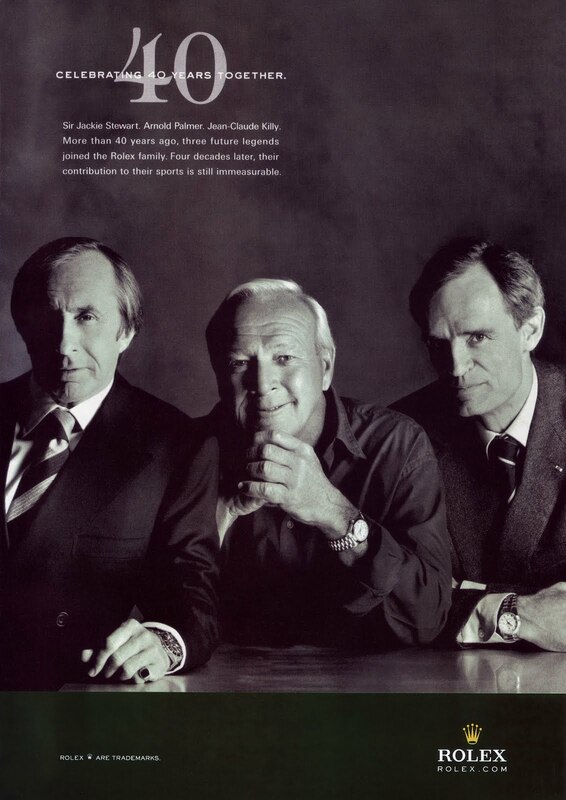 In 1992, he brought the Olympic games themselves. 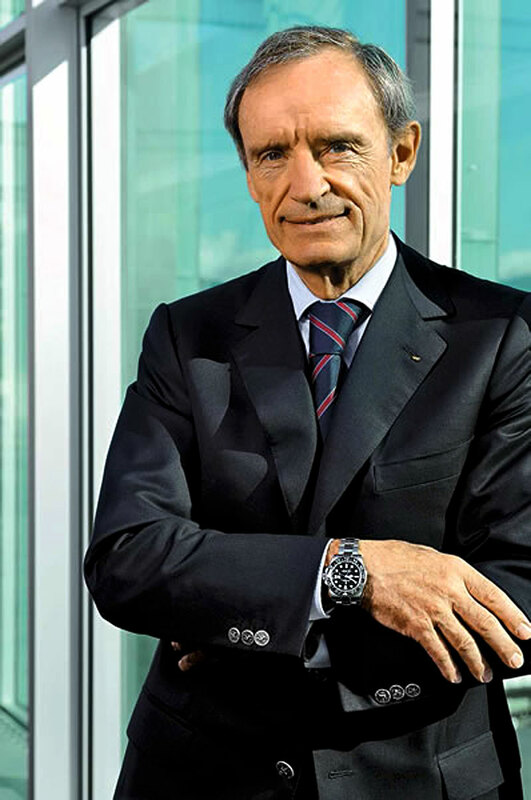 A successful businessman, as well as one of France's best-known sports figures, Killy was chosen to spearhead the drive that brought the Winter Olympics to his beloved Sovoie. 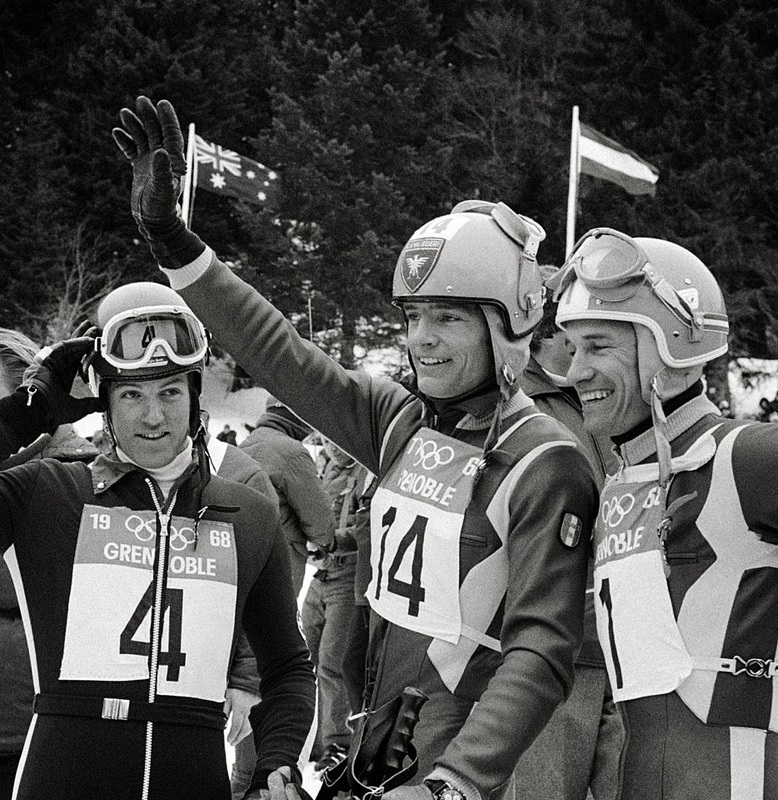 "The training that I went through to become a ski racer proved invaluable to me when I entered the business world, and the same proved true in organizing the Winter Games." Killy says, "As an athlete I learned to value of hours of planning and being able to juggle several projects at once." 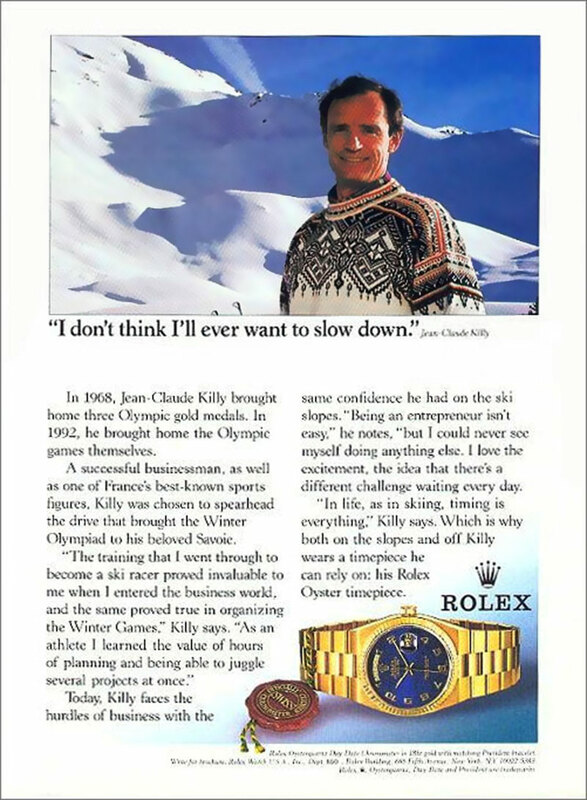 Today, Killy faces the hurdles of business with the same confidence he had on the ski slopes. 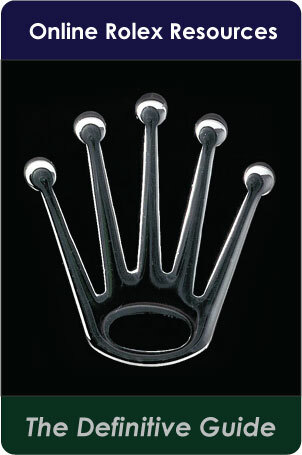 "Being an entrepreneur isn't easy," he notes, "but I could never see myself doing anything else. I love the excitement, the idea that there's a different challenge waiting every day. "In life, as in skiing, timing is everything." 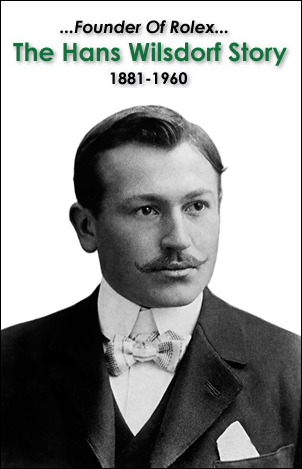 Killy says. 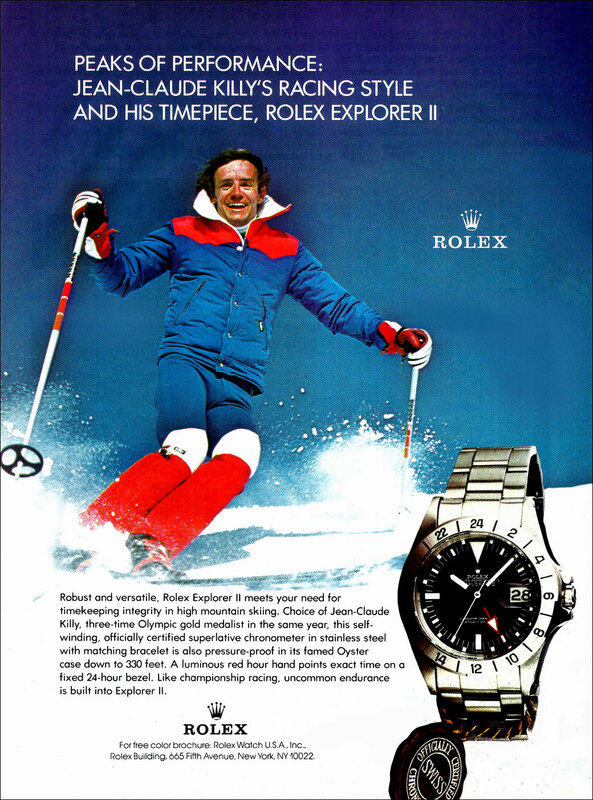 Which is why both on the slopes and off Killy wears a timepiece he can rely on: his Rolex Oyster timepiece.